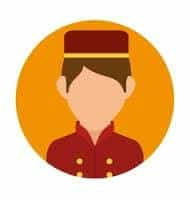 The term ‘Parashar Hospitality Solutions Pvt. Ltd.’ ‘Forehotels.com ’ or ‘us’ or ‘we’ refers to the owner of the website whose registered office is Parashar Hospitality Solutions Pvt. Ltd., P.K SALVEY MARG, MOHAN NAGAR, WARD NUMBER-54 NAGPUR MAHARASHATRA 440001. Our company registration number is 11-55-529 and place of registration is nagpur MAHARASHTRA. The term ‘you’ refers to the user or viewer of our website. Parashar Logistics, Forehotels.com, Forehotels, and Company are used interchangeably and are synonymous. Forehotels.com does not share personally identifiable data of any individual with other companies / entities without obtaining permission except with those acting as our agents. Forehotels.com shall share all such information that it has in its possession in response to legal process, such as a court order or subpoena. The user shall not utilize the services offered by Forehotels.com in any manner so as to impair the interests and functioning of Forehotels.com. The user undertakes not to duplicate, download publish, modify and distribute material on Forehotels.com unless specifically authorized by Forehotels.com in this regard. The user undertakes not to establish any deep link or other connection to any specific page of Forehotels.com other than the Home Page without obtaining prior consent of Forehotels.com . The user undertakes to use Forehotels.com for his/her own purposes. Using content from Forehotels.com for derivative works with a commercial motive without prior written consent from Forehotels.com is strictly prohibited. Forehotels.com uses technological means to exclude Robots etc. from crawling thewebsite and scraping content. The user undertakes not to circumvent these methods. Users undertake that the services offered by Forehotels.com shall not be utilized to upload, post, email, transmit or otherwise make available either directly or indirectly, any unsolicited bulk e-mail or unsolicited commercial e-mail. Forehotels.com reserves the right to filter and monitor and block the emails sent by you/user using the servers maintained by Forehotels.com to relay emails. All attempts shall be made by Forehotels.com and the user to abide by International Best Practices in containing and eliminating Spam. Users shall not spam the database maintained by Forehotels.com or indiscriminately and repeatedly forward mail that may be considered spam etc. etc. Any conduct of the user in violation of this clause shall entitle Forehotels.com to forthwith terminate all services to the user without notice and to forfeit any amounts paid by him. The user expressly states that the resume/insertion or information/ data being fed into the network of Forehotels.com by the user is correct and complete in all respects and does not contain any false, distorted, manipulated, fraudulent or misleading facts or averments. Forehotels.com expressly disclaims any liability arising out of the said resume insertion/information/ data so fed into the network of Forehotels.com by the user. Further, the user agrees to indemnify Forehotels.com for all losses incurred by Forehotels.com due to any false, distorted, manipulated, defamatory, libelous, vulgar, obscene, fraudulent or misleading facts or otherwise objectionable averments made by the user on the network of Parashar Logistics. The User is solely responsible for maintaining confidentiality of the User password and user identification and all activities and transmission performed by the User through his user identification and shall be solely responsible for carrying out any online or off-line transaction involving credit cards / debit cards or such other forms of instruments or documents for making such transactions and Forehotels.com assumes no responsibility or liability for their improper use of information relating to such usage of credit cards / debit cards used by the subscriber online / off-line. The User/Subscriber/Visitor to Forehotels.com and/or its affiliated websites does hereby specifically agree that s/he shall, at all times, comply with the requirements of the Information Technology Act, 2000 as also rules, regulations, guidelines, bye laws and notifications made thereunder, while assessing or feeding any resume/ insertion or information/data into the computers, computer systems or computer network of Forehotels.com. The said User/ subscriber/ visitor to Forehotels.com and/or its affiliated websites does further unequivocally declare that in case he violates any provisions of the Information Technology Act, 2000 and/or rules, regulations, guidelines, byelaws and notifications made thereunder, s/he shall alone be responsible for all his acts, deeds and things and that s/he alone shall be liable for civil and criminal liability there under or under any other law for the time being in force. Contains software viruses or any other computer code, files or programs designed to interrupt, destroy or limit the functionality of any computer resource; threatens the unity, integrity, defense, security or sovereignty of India, friendly relations with foreign states, or or public order or causes incitement to the commission of any cognizable offence or prevents investigation of any offence or is insulting any other nation. Forehotels.com will make best efforts to do so but does not warrant that any of the web sites or any affiliate site(s) or network system linked to it is free of any operational errors nor does it warrant that it will be free of any virus, computer contaminant, worm, or other harmful components. The subscription of a user shall be subject to Quotas as applicable and as advised. E-Mails provided as part of contact details are expected to be genuine and access to such email accounts is available to authorised personnel only. Forehotels.com shall not be liable for any loss or damage sustained by reason of any disclosure (inadvertent or otherwise) of any information concerning the user's account and / or information relating to or regarding online transactions using credit cards / debit cards and / or their verification process and particulars nor for any error, omission or inaccuracy with respect to any information so disclosed and used whether or not in pursuance of a legal process or otherwise. Payments for the services offered by Forehotels.com shall be on a 100% advance basis. Refund if any will be at the sole discretion of Forehotels.com. Forehotels.com offers no guarantees whatsoever for the accuracy or timeliness of the refunds reaching the Customers card/bank accounts. Forehotels.com gives no guarantees of server uptime or applications working properly. All is on a best effort basis and liability is limited to refund of amount only. Forehotels.com undertakes no liability for free services. Forehotels.com further reserves its right to post the data on the website Forehotels.com or on such other affiliated sites and publications as Forehotels.com may deem fit and proper at no extra cost to the subscriber / user. The subscription / agreement between Forehotels.com and the subscriber / user is not a "non-poach agreement" nor can the same be termed or used as an alternative to "non-poach agreement" in as much as Forehotels.com is a public site and all information posted by Forehotels.com goes to the public domain except information / data which is specifically assigned a non-public / private character. Any agreement for a subscription / usage entered into by Forehotels.com does not confer exclusivity of service on any subscriber / user. Parashar Logistic or its subsidiary will not be party to any legal proceedings between a user (e.g. a subscriber) and a party contracted through the site. In case Forehotels.com is implicated in any legal proceedings, costs will be recovered from the party that names Forehotels.com. Forehotels.com however will abide with any court order served on it through due process. In case a person using the world wide web/internet receives a spam or virus which includes a link to Forehotels.com or to any other site maintained, operated or owned by Forehotels.com, it should not be held responsible for the same. Forehotels.com assumes no responsibility for such mails. The services provided by the websites maintained, operated or owned by Forehotels.com do not extend to acting as an agent (express or implied) on behalf of any subscriber or user. Forehotels.com has no agents and does not operate through any agents save for those specifically mentioned on the home page of the website. The Terms and conditions mentioned above regulate the usage of Forehotels.com. Any person using Forehotels.com in violation of the stipulations contained in the Terms and Conditions of Forehotels.com shall render himself/herself liable to appropriate action in a court of law both civil and criminal. Resume Posting / Submission of Resume / Resume Upload / Resume Manager byregistering your resume on Forehotels.com, you agree to the following terms. Company offers no guarantee nor warranties that there would be a satisfactory response or any response at all once the resume/ insertion or information/data is fed by the user. Forehotels neither guarantees nor offers any warranty about the credentials bonafides, status or otherwise of the prospective employer/organization which downloads the resume/ insertion or information/data and uses it to contact the user. Forehotels would not be held liable for loss of any data technical or otherwise, or of the resume/ insertion or information/data or particulars supplied by user due to acts of god as well as reasons beyond its control like corruption of data or delay or failure to perform as a result of any cause(s) or conditions that are beyond Forehotels's reasonable control including but not limited to strikes, riots, civil unrest, Govt. policies, tampering of data by unauthorized persons like hackers, distributed denial of service attacks, virus attacks, war and natural calamities. It shall be sole prerogative and responsibility of the user to check the authenticity of all or any response received pursuant to the resume/ insertion or information/data being fed into the network system of Forehotels by the user, for going out of station or in station for any job or interview. Forehotels assumes no responsibility in respect thereof and expressly disclaims any liability for any act, deed or thing which the user may so do, pursuant to the receipt of the response, if any, to the resume/ insertion or information/ date being fed into the network system of Info Edge. Uploading of multiple resumes beyond a reasonable limit by the same individual, using the same or different accounts shall entitle Forehotels to remove the Resumes without notice to the subscriber. This service is only meant for candidates looking for suitable jobs. Any usage with commercial intent is prohibited. Forehotels reserves its right to reject and delete any resume/ insertion or information/data fed in by the user without assigning any reason. This free service entitles the user alone i.e the same person, to add modify or change the data/information fed in by him but does not entitle him to use the free service to feed fresh insertion or information/data /resume of another person in place of the insertion or information/data already fed in by such user. Forehotels has the right to make all such modifications/editing of resume in order to fit resume in its database. The subscriber shall be assigned a password (s) by Forehotels to enable the subscriber to access all the information received through Forehotels.com, but the sole responsibility of the safe custody of the password shall be that of the subscriber and Forehotels shall not be responsible for data loss/theft of data/corruption of data or the wrong usage/misuse of the password and any damage or leak of information and its consequential usage by a third party. Forehotels undertakes to take all reasonable precautions at its end to ensure that there is no leakage/misuse of the password granted to the subscriber. It shall be the sole responsibility of the user to ensure that it uses the privacy setting options as it deems fit to debar / refuse access of the data fed by it, to such corporate entities individuals or consultants. Forehotels shall not be responsible for such insertions / data being accessed by its subscribers or users whose access has not been specifically blocked /debarred by the user while using the privacy settings. Although Forehotels will make all possible efforts to adhere to these privacy settings, it will not be responsible for a resume being seen by a blocked user for any reason. For best privacy settings it is recommended that you do not allow your resume to be searched at all. The user represents that he/she is not a minor and is not under any legal or other disability which limits his/her ability to comply with these Terms or to install and use the services subscribed and purchased with minimal risk of harm to you or others. You further represent that you are not purchasing the products/services for resale to others and will not do so without Forehotels (India) Limited's prior written consent. Making your resume searchable to paying clients of Forehotels.com who subscribe to such option on our website. You may be contacted by subscribers via email, telephone and/or post. If you wish to modify this setting and make yourself non-searchable, you may reset this in the Privacy Setting section of your resume. We recommend that you read the privacy settings carefully and Forehotels.com will not be held responsible for contacts/mails received by you. Receive promotional mailers/ special offers. You may remove yourself from the promotional mailer email database by resetting this option on the Privacy Setting section of your resume. The user agreement between a user/subscriber and Forehotels.com will be treated as having been terminated in the following events: ( i ) On completion of the term for which the user/subscriber engages the services of the website; or ( ii ) In case the user/subscriber violates any of the conditions of this agreement or any other agreement entered into by him with Forehotels.com, however, such termination will be at the option and discretion of Forehotels.com ; or ( iii )On writing and on such terms as agreed to by the parties mutually. The User of these services does not claim any copyright or other Intellectual Property Right over the data uploaded by him/her on the website.Jurisdiction for any disputes arising from and related to this contest shall be Nagpur, Maharashtra, India to the exclusion of all other courts. Disputes shall be resolved in accordance with the laws of India as applicable. The payment for service once subscribed to by the subscriber is not refundable and any amount paid shall stand appropriated. The amount paid entitles the subscriber alone to the service by Forehotels for a period of subscription opted for from the date of up-linking of the resume on the website Forehotels.com or such other mirror or parallel site(s) as Forehotels may deem fit and proper but such web host shall be without any extra cost to the subscriber / user. The resume displayed can be updated by the subscriber alone free of cost. Through Resume Display service your resume is made available from the home page of Forehotels.com and can be by freely accessed by anyone. Additionally, through this service your resume is also made a part of Forehotels's proprietary database, accessed only by companies/recruiter registered with us. Please log into your account and set the visibility of the resume as desired by you, here you can selectively block a company/recruiter from accessing your resume. (Please note that the confidentiality settings of the resume which has been made part of the exclusive database is independent of the confidentiality settings of the resume made part of the free search service) Forehotels offers neither guarantee nor warranties that there would be a satisfactory response or any response at all once the resume is put on display. Forehotels neither guarantees nor offers any warranty about the credentials of the prospective employer/organization which down loads the information and uses it to contact the prospective employee / visitor / user / subscriber. Forehotels would not be held liable for loss of any data technical or otherwise, and particulars supplied by subscribers due to reasons beyond its control like corruption of data or delay or failure to perform as a result of any causes or conditions that are beyond Forehotels's reasonable control including but not limited to strikes, riots, civil unrest, Govt. policies, tampering of data by unauthorized persons like hackers, war and natural calamities. It shall be the sole prerogative and responsibility of the individual to check the authenticity of all or any response received pursuant to the resume being displayed by Forehotels for going out of station or in station for any job / interview and Forehotels assumes no responsibility in respect thereof. Forehotels reserves its right to reject any insertion or information/data provided by the subscriber without assigning any reason either before uploading or after uploading the vacancy details, refund if any shall be on a pro-rata basis at the sole discretion of Info Edge. Forehotels will commence providing services only upon receipt of amount/charges upfront either from subscriber or from a third party on behalf of the subscriber. This subscription is not transferable i.e. it is for the same person throughout the period of subscription. Forehotels has the right to make all such modifications/editing of resume in order to fit the profile / resume in its database. The liability, if any, of Forehotels is limited to the extent of the amount paid by the subscriber. The subscriber shall be assigned password(s) by Forehotels to enable the subscriber to access all the information received through its site Forehotels.com, but the sole responsibility of the safe custody of the password shall be that of the subscriber and Forehotels shall not be responsible for data loss/theft or data/corruption or the wrong usage/misuse of the password and any damage or leak of information and its consequential usage by a third party. Forehotels undertakes to take all reasonable precautions at its end to ensure that there is no leakage/misuse of the password granted to the subscriber The subscriber undertakes that the data/information provided by him is true and correct in all respects. The User of these services does not claim any copyright or other Intellectual Property Right over the data uploaded by him/her on the website All disputes arising out of the transactions between a user and Forehotels will be resolved in accordance with the laws of India as applicable. All Disputes arising out of the transactions between a user and Forehotels will be subject to the jurisdiction of Courts situate in Delhi alone. The subscriber shall have no right to demand any information regarding the organizations to whom the resume has been sent and Forehotels would be under no legal or other obligation to disclose/reveal the particulars of such organizations. Forehotels reserves its right to reject any insertion or information/data provided by the subscriber without assigning any reason before sending the resume to consultant(s) database subscribed to, but in such an eventuality, any amount so paid for, may be refunded to the subscriber on a pro-rata basis at the sole discretion of Forehotels. Forehotels will commence providing services only upon receipt of amount/charges upfront either from subscriber or from a third party on behalf of the subscriber. This subscription is not transferable i.e. it is for the same person throughout the period of subscription. The liability, if any, of Forehotels is limited to extent of the amount paid by the subscriber. The subscriber shall be assigned a password (s) by Forehotels to enable the subscriber to access all the information received through Forehotels.com, but the sole responsibility of the safe custody of the password shall be that of the subscriber and Forehotels shall not be responsible for data loss/theft of data/corruption of data or the wrong usage/misuse of the password and any damage or leak of information and its consequential usage by a third party. Forehotels undertakes to take all reasonable precautions at its end to ensure that there is no leakage/misuse of the password granted to the subscriber The subscriber undertakes that the data/information provided by him is true and correct in all respects. The User of these services does not claim any copyright or other Intellectual Property Right over the data uploaded by him/her on the website All disputes arising out of the transactions between a user and Forehotels will be resolved in accordance with the laws of India as applicable. All Disputes arising out of the transactions between a user and Forehotels will be subject to the jurisdiction of Courts situate in Delhi alone. All Disputes arising out of the transactions between a user and Forehotels will be subject to the jurisdiction of Courts situate in Nagpur alone. The use of the services offered by Forehotels.com including this service is also subject to the terms and conditions which regulate the usage of the website. This service is provided by Forehotels.com free of charge. This service is meant exclusively for individual and non-commercial use. The content being provided through this service may not be edited/changed/modified in any manner without our permission. Any usage for non- personal/commercial purposes requires specific written permission to be obtained from us prior to commencing such usage. Please contact info@forehotels.com to request permission. Forehotels India Limited claims proprietary rights over the content being made available as RSS feeds from Forehotels.com, including copyrights, trademark etc. The user shall provide acknowledgement to Forehotels.com in connection with its use of RSS feeds obtained from the website. Forehotels India Limited reserves the right to discontinue providing RSS feeds, limit the users access to parts of the RSS feeds without assigning any reason for the same. Limits may be imposed. The factual content contained in the RSS feeds is displayed as supplied by various recruiters, recruitment agencies and other sources; Forehotels India Limited offers no warranties about the correctness/truthfulness of the content. Forehotels shall place the information relating to vacancies in the Vacancies & such other Classified sections on the website Forehotels.com or such other mirror or parallel site(s) or in allied publications as Forehotels may deem fit and proper but such additional web hosting shall be without any extra cost to the subscriber / user. The insertion so displayed in the classified section of Forehotels.com shall be for a fixed period (currently 30 days), which period is subject to change without notice. Every instance of refreshing and existing listing entitles you to and additional fixed period (currently 30 days) starting from the date on which the listing is refreshed and shall be counted as fresh posting. Forehotels reserves its right to reject any insertion or information/data provided by the subscriber without assigning any reason either before uploading or after uploading the vacancy details, but in such an eventuality, any amount so paid for, may be refunded to the subscriber on a pro-rata basis at the sole discretion of Info Edge. By posting/uploading a job posting on the website you confirm that you have obtained all licenses/permits as are necessary for recruitment and to indemnify Forehotels.com against all claims, damages arising out of actions/claims that may be made in relation to the same. Forehotels has the right to make all such modifications/editing of the vacancy details in order to fit its database. The Subscriber/Recruiter will provide up to a maximum of 2 email id's for vacancies posted on Forehotels.com in the Classified section to collect response(s) if any. The contact information given by the subscriber for all listing should be the same and the subscriber cannot give multiple contact information/data for the purpose of listing. All information intimated by the subscriber / recruiter and displayed by Forehotels on Forehotels.com becomes public knowledge and Forehotels may at its sole discretion include the vacancy intimated by a subscriber for display on Forehotels.com in any other media including the print media at no extra costs to the subscriber and Forehotels shall not be held liable for usage/publicity of such information. Forehotels offers neither guarantee nor warranties that there would be a satisfactory response or any at all response once the job is put on display. Forehotels shall in no way be held liable for any information received by the subscriber and it shall be the sole responsibility of the subscriber to check, authenticate and verify the information/response received at its own cost and expense. Forehotels would not be held liable for any loss of data, technical or otherwise, information, particulars supplied by the subscriber, due the reasons beyond its control like corruption of data or delay or failure to perform as a result of any causes or conditions that are beyond Forehotels's reasonable control including but not limited to strike, riots, civil unrest, Govt. policies, tampering of data by unauthorized persons like hackers, war and natural calamities. Forehotels will commence providing services only upon receipt of amount/charges upfront either from the subscriber or from a third party on behalf of the subscriber. The subscriber/Recruiter shall be deemed to give an undertaking to Forehotels that the jobs sought to be advertised on the classified section of Forehotels.com are in existence, are genuine and that the subscriber / recruiter has the authority to advertise for such jobs. The subscriber/Recruiter must give an undertaking to Forehotels that there will be no fee charged from any person who responds to jobs advertised on the classified section of Forehotels.com for processing of applications / responses from such person. Forehotels reserves its right to change the look, feel, design, prominence, depiction, and classification of the classified section of Forehotels.com at any time without assigning any reason and without giving any notice. The subscriber shall be assigned password (s) by Forehotels to enable the subscriber to post vacancies on the site in agreed upon section(s), but the sole responsibility of the safe custody of the password shall be that of the subscriber and Forehotels shall not be responsible for data loss/theft of data/corruption of data or the wrong usage/misuse of the password and any damage or leak of information and its consequential usage by a third party. Forehotels undertakes to take all reasonable precautions at its end to ensure that there is no leakage/misuse of the password granted to the subscriber. The User of these services does not claim any copyright or other Intellectual Property Right over the data uploaded by him/her on the website All disputes arising out of the transactions between a user and Forehotels will be resolved in accordance with the laws of India as applicable. All Disputes arising out of the transactions between a user and Forehotels will be subject to the jurisdiction of Courts situate in Nagpur alone. All the contents of this Site are only for general information or use. They do not constitute advice and should not be relied upon in making (or refraining from making) any decision. Any specific advice or replies to queries in any part of the Site is/are the personal opinion of such experts/consultants/persons and are not subscribed to by this Site. The information from or through this site is provided on "AS IS" basis, and all warranties, expressed or implied of any kind, regarding any matter pertaining to any goods, service or channel, including without limitation, the implied warranties of merchantability, fitness for a particular purpose, and non-infringement are disclaimed and excluded. Certain links on the Site lead to resources located on servers maintained by third parties over whom Forehotels has no control or connection, business or otherwise as these sites are external to Forehotels you agree and understand that by visiting such sites you are beyond the Forehotels website. Forehotels therefore neither endorses nor offers any judgement or warranty and accepts no responsibility or liability for the authenticity/availability of any of the goods/services/or for any damage, loss or harm, direct or consequential or any violation of local or international laws that may be incurred by your visit and/or transaction/s on these sites. Part of the Site contains advertising/other material submitted to Forehotels by third parties. Responsibility for ensuring that material submitted for inclusion on the Site complies with applicable International and National law is exclusively on the advertisers and Forehotels will not be responsible for any claim, error, omission or inaccuracy in advertising material. Forehotels reserves the right to omit, suspend or change the position of any advertising material submitted for insertion. Acceptance of advertisements on the Site will be subject to Forehotels terms and conditions which are available on request. Forehotels shall have no liability to you for any interruption or delay in access to the Site irrespective of the cause. The Agreement shall be governed by the Laws of India. The Courts of law at Nagpur shall have exclusive jurisdiction over any disputes arising under this agreement. Forehotels agrees to provide the service to the subscriber only for the duration or the number of impressions contracted for, to the best of its ability. Forehotels will display the banners on all the relevant/specified sections of the site on a rotation basis Forehotels reserves its right to reject any insertion or information/data provided by the subscriber without assigning any reason, but in such an eventuality, any amount so paid for, may be refunded to the subscriber on a pro-rata basis at the sole discretion of Forehotels. Forehotels offers no guarantee nor warranties that there would be a satisfactory response or any response at all once the banners are put on display. Forehotels would not be held liable for any loss of data technical or otherwise, information, particulars supplied by the customers due to the reasons beyond its control like corruption of data or delay or failure to perform as a result of any causes or conditions that are beyond Info Edge's reasonable control including but not limited to strike, riots, civil unrest, Govt. policies, tampering of data by unauthorized persons like hackers, war and natural calamities Forehotels will commence providing services only upon receipt of amount/charges upfront either from the subscriber or from a third party on behalf of the subscriber This subscription is neither re-saleable nor transferable by the subscriber to any other person, corporate body, firm or individual The subscriber/Recruiter/Advertiser must give an undertaking to Forehotels that there will be no fee charged from any person who responds to jobs advertised on Forehotels.com for processing of applications / responses from such person The User of these services does not claim any copyright, Trade Mark or other Intellectual Property Right over the data uploaded by him/her on the website. The Banners displayed on Forehotels.com shall be prepared as per the instructions received from the users, Forehotels shall not be responsible for the users misappropriation of the Trade Mark/ Copyright or any other Intellectual Property Right sought to be passed of as that of the user. All disputes arising out of the transactions between a user and Forehotels will be resolved in accordance with the laws of India as applicable. All Disputes arising out of the transactions between a user and Forehotels will be subject to the jurisdiction of Courts situate in Nagpur alone. Forehotels will commence providing services only upon receipt of amount/charges upfront either from the subscriber or from a third party on behalf of the subscriber. The use and access to Forehotels database is subject to this policy. The services provided to you are aimed at providing recruitment solutions and should be restricted to contacting suitable candidates for genuine jobs in existence. Mailing practices such as transmitting marketing and promotional mailers/ Offensive messages/ messages with misleading subject lines in order to intentionally obfuscate the original message, are strictly prohibited. We reserve the right to terminate services, without prior notice, to the originator of Spam. No refund shall be admissible under such circumstances. Unsolicited Bulk Messages/Unsolicited Commercial Communications. Voice Calls/SMS to telephone numbers registered on the National Consumer Preference Register. Messages with misleading subject lines. Extra ordinary High Number of mails. Users agree to indemnify and hold harmless Forehotels from any damages or claims arising out of usage of their Forehotels accounts for transmitting spam Users are advised to change their passwords frequently in order to reduce the possibility of misuse of their accounts. Notwithstanding anything to the contrary the hotel owners including but not limited to their stakeholders undertake the responsibility of the information provided for individuals for ranking, back ground checks (positive or negative), employee / ex- employee appraisal, endorsement, and recommendations are sole responsibility of the individual and / or firm. Forehotels.com provides the opportunity to the employers to rank their (ex)employees and provide testimonials thus creating a competitive environment. Employees can add the ranking, recommendations, and testimonials to publicize their performance backed with industry reputation. For clarification purposes, all information provided here under are solely on merit basis. Forehotels does not hold any liability in any form on account of misrepresentation, misinterpretation, and negligence, intentional or unintentional by any entity. In no event shall Forehotels be liable (i) for incidental, indirect, special, exemplary, punitive or consequential damages, nor (ii) for loss of use or data, or access, or production or business or market share, or lost profits, savings or revenues of any kind or any other economic loss (whether direct, indirect or consequential); no matter what theory of liability, even if such party has been advised of the possibility of such damages. Note: The terms in this agreement may be changed by Forehotels at any time. Forehotels is free to offer its services to any client/prospective client without restriction. The liability, if any, of Forehotels is limited to the extent of the amount paid by the subscriber. In event for any reason if the Employer fires, transfers, or terminates the employment of the candidates, Forehotels will not provide Replacement. The said condition, would attract for a new placement of a new candidate. For one vacancy not more than four candidates will be referred. In event for rejection of candidates, Forehotels will appreciate the reason of rejection to streamline future reference of candidates to the employers. Forehotels will replace any permanent candidate hired at no additional fee within (ninety) 90 days from the date employment commences, should the candidate voluntarily leave the client’s employ, or be discharged for cause provided. Forehotels are notified in writing within five (5) working days of the candidate’s separation from the Client. The Client has met all the terms of this agreement and payment has been made within ten working days of candidate’s start date. Should the terms of this agreement not have been met upon the candidate’s separation from the Client, the Client is responsible for placement fees due for the term of employment that the candidate was employed. Warranty is limited to three replacements. Forehotels will not provide any refund to the clients in any event. Complete details of requirement, job description to be provided to Forehotels while placing the request for placement candidates. Notification of Employment – As Forehotels does not employ the Candidates directly, when an offer of employment has been rendered and accepted, it is the Client’s responsibility to inform Forehotels of the terms of employment such as Candidate name, start date, position and salary within 3 working days of hiring. Notification of Termination – Should a Candidate’s employment be terminated for just cause and not for lack of work or internal policy changes, it is the Client’s responsibility to inform Forehotels of the date, total wages paid, and cause for termination within 5 working days of separation from the employer to be eligible for a Replacement Candidate. Candidates hired are hired at-will as employees of the Client, and Forehotels cannot be held responsible for the actions of the Candidate in any circumstance. Further, the Candidates are under no employment contract with Forehotels, and all taxes and employment eligibility requirements are the responsibility of the Client, as are criminal background checks and reference verifications. Any dispute, miscommunication, performance or attitude related issues that happen between Candidate and Employer is not the responsibility Forehotels. Forehotels job is limited to review profile, candidature, and Documents provided or uploaded by job seeker and connect them with Employer. Forehotels is not responsible for any Candidates Travel expense or immigration documentation. Placement may take time as per circumstances such as Rain, National Holidays or Natural Calamities, and availability of Employers team. Salaries Not paid on time. Service charge not paid on time. Food and Accommodations as discussed not appropriate. Forehotels works for the calendar days of Monday to Saturday and adheres to Indian Government holiday calendar. Any commitment of services is limiting to the said timelines as per IST. Forehotels is a third party after the placement. Any litigation, criminal conviction, and Police complaints is not in the scope nor responsibility of Forehotels. Forehotels Does Not Accept Cash or Part any Payments. Any cash or Part payments made in the name of Forehotels is not our responsibility for Placements or any issues thereof. Forehotels is not responsible for the losses by employer for Delay in any Placements. Once registration period Crossed Forehotels is not responsible for any placement and all commitment Becomes Null And Void. In event, if after Commitment Candidates does not reach for interview at the venue or portal, Forehotels shall not be held for any Unprofessional Behavior of Candidate. Forehotels however, will ensure its regular Follow up with the candidate and employer for assistance and communication. Keeping any position on hold for more than 2 days we accept it as Position closed by employer. Forehotels will stop sending candidates until any position is kept On-Hold. It is the Client’s responsibility to advise Forehotels of Duplicate Resumes received by alternate sources, as well as names of Candidates already in correspondence with regarding the position, within 48 hours of receipt from Forehotels. Further, documentation proving prior communication with Candidate(s) in question will be required for continued service from Forehotels. This applies to all Candidates submitted by Forehotels, for any position on board. Should these terms not have been met the Client is responsible for placement fees due for the term of employment. Any candidate working through us or sent for interview or trials, if he is working in your company within the period of 6 months they will be counted as Forehotels Placements. Forehotels Ltd reserves the right to alter, change, add, amend, delete or replace these terms, services, work and prices without prior notice at any time. By sending your details to Your email ID you agree that your CV and other documents will be submitted to potential employers for their perusal. For any reason Employer fires the candidates, Forehotels will take decision as per feedback from previous Employers and Connect Job Seekers To another Employer as per suitability. Rejection and Selection is Employers choice, Forehotels is not responsible for any decision taken by the Employer after the Interview. Employer might keep candidate waiting for interview, Forehotels is not responsible for any delay or cancelation of interview. Forehotels is not responsible for any delay or Non Payment from the employer in Service charge or Salary or any kind of incentive. Candidates will ensure and indemnify the authenticity of the documents submitted at the time of application. Candidates will ensure professional behavior at the time of interview and during the term of employment. Forehotels will provide clarification of the candidates regarding the job description and expectation from candidates. Forehotels does not indemnify any employers on their in-house HR policies. It is the responsibility of the candidate to understand and evaluate the same with the employers. Forehotels does not keep any original documents from any candidates and would not insist any candidate to handover any originals to the employer. In event the original documents are handed over by the candidate to the employer, Forehotels will not be held responsible for the recovery of the originals for the candidate. Forehotels.com reserves its right to amend / alter or change all or any disclaimers or terms of agreements at any time without any prior notice. All terms / disclaimers whether specifically mentioned or not shall be deemed to be included if any reference is made to them.